Saccharomyces cerevisiae sp. boulardii is a type of micro yeast which does NOT produce carbon dioxide as other yeasts do. Sc. boulardii instead produces polyamines such as spermine and spermidine, which are the basic building molecules for the mucosa. Since 2010 the official and the scientific name of boulardii is Saccharomyces cerevisiae sp. boulardii. Sc. 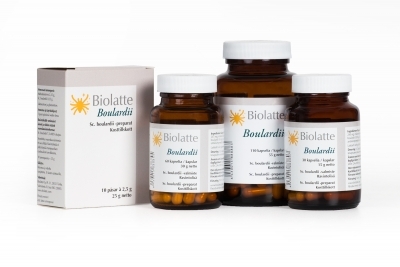 boulardii can be taken at any time of the day, with food or on an empty stomach.